With one week to go before heading off to Indonesia, I have the necessary paper work and permissions and it just leaves some packing to be done before flying to Jakarta to meet my counterpart, Prima Hutabarat, from Bogor Botanic Garden. It is then just a quick flight to Borneo and then straight into the field. This trip is part of the second p hase of a project between the Indonesian Institute of Sciences (LIPI) and the Royal Botanic Garden Edinburgh to research and conserve the plant diversity of Indonesia which builds on earlier visits to Sumatra and Sulawesi. This fieldwork will focus on Kalimantan, the Indonesian part of the island of Borneo and, in particular, the Sangkulirang-Mangkalihat Karst Reserve in East Kalimantan. 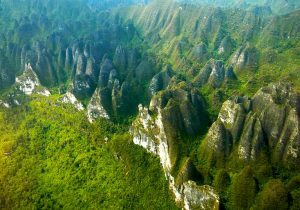 This area has some of the most extensive limestone formations in the whole of South East Asia and is one of the most poorly known areas botanically. Botanical surveys of these ranges have been identified as a major research priority (MacKinnon et al, 1996). Plants which grow on limestone are often very rare as they do not grow on other substrates and they are often localized to small areas and found nowhere else on Earth. This restricted distribution makes then particularly susceptible to extinction. Limestone areas are also often quite difficult to access because of their steep inhospitable terrain so they are often poorly explored botanically. Virtually no botanical collections have been made in the area we hope to visit! Limestone areas harbour an extremely interesting flora but are susceptible to fires in the dry season and many areas in Asia are being destroyed for cement production. 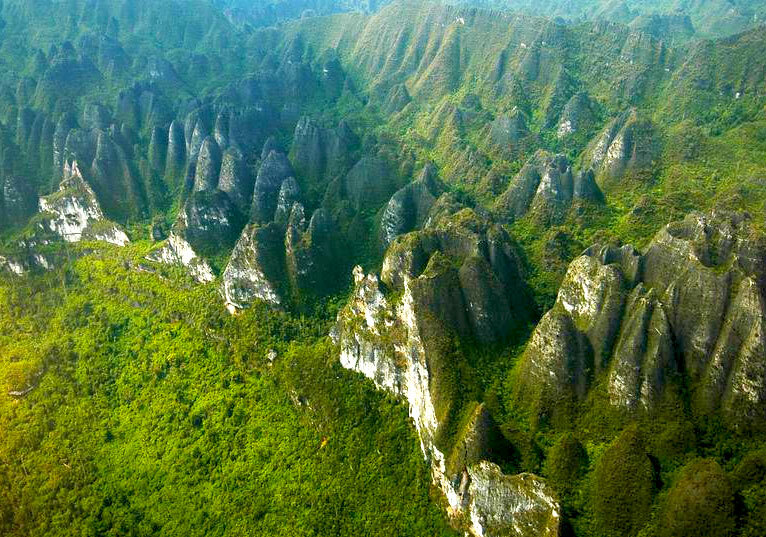 The Sangkulirang-Mangkalihat limestone area has been identified as the most valuable limestone areas for conservation in Borneo (MacKinnon & MacKinnon 1986). Our fieldwork will focus on our key groups Sapotaceae, Begoniaceae, Gesneriaceae and Zingiberaceae and we are almost certain to find many species that will be new to science. But we will also be recording and collecting a wide range of other species from other plant families that are of interest to researchers from Bogor Botanic Gardens and other Indonesian research institutes. 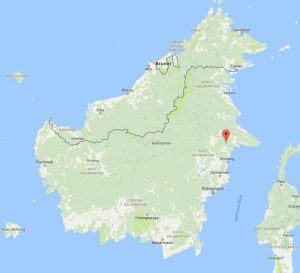 These herbarium and living collections will help in the documentation, description and protection of the plant diversity from this fascinating and unexplored area of Borneo. MacKinnon, G. Hatta, H. Halim, A. Mangalik (1996). The Ecology of Kalimantan. Periplus Editions, Indonesia. MacKinnon & MacKinnon (1986). Review of the protection areas system in the Indo-Malayan Realm. IUCN, Gland.